Edit: New Issue- Cleanrip says Not verified with redump.org"- what should I do? I just finished ripping Donkey Kong Country Returns using Cleanrip on my softmodded Wii. It says "Not verified with redump.org." What does this mean? Should I be worried? I don't have a compatible DVD drive so I have to go the soft modded Wii route. I have Homebrew running on my Wii, all the homebrew stuff is on a 2 gb SD card. I'm stuck between step 4 and 5.
your SD card or USB drive. 5.Put your SD card or USB drive into the Wii. Then launch the Homebrew Channel. You should see CleanRip come up as one of the options. Select it and choose Launch." I put CleanRip on a 16 gb USB stick. I put the "apps" folder from the cleanrip rar file into the root of the USB stick, I plug it into my Wii. I start up Homebrew and Cleanrip is not one of the apps listed. I thought maybe CleanRip has to be on the SD card with the homebrew stuff on it, but it's only a 2 gb card, and I'm going to try to rip a 5 gb DVD... I don't understand how that works. The Homebrew channel can only boot software from the SD card, so that's where you need to put cleanrip. In cleanrip, you can specify where to put the dumped disk, so just select USB to put it on the USB drive. Got a new issue, not sure what to do. Don't worry about it. Redump.org doesn't seem to have a library of Wii games, so it can't compare and verify the hash of the game. Try the game on Dolphin and see if it works. If you get a black screen, there is a high probability that you haven't dumped the game correctly. If you're worried about that, or just want to make sure your game is dumped correctly, then calculate the MD5 or SHA1 hash of Donkey Kong Country Returns and compare it to the ones on GameTDB. Install it. It will just extract the exe file to wherever you tell it to. 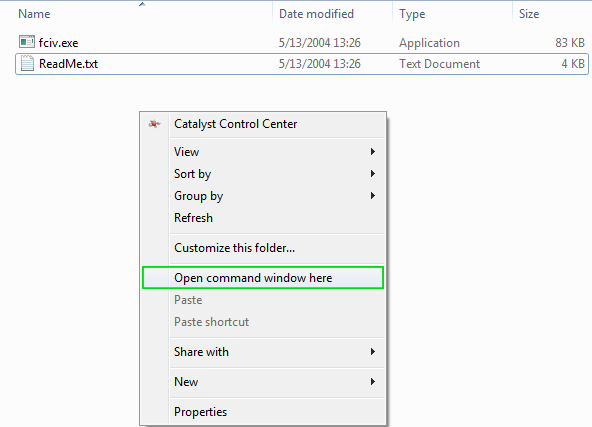 Now, browse to the folder where it extracted and hold down SHIFT and right-click in the folder (not on a file), and click on Open command window here. In the command prompt that opens, type the following depending on which hash you want to calculate. Note that this will take some time depending on your system, don't close the window. You can drag and drop the iso into the command prompt window and it will give you the path to it so you don't have to manually type it. fciv -sha1 "Path of iso"
fciv -md5 "Path of iso"
You can also calculate the hashes of multiple files or every iso file in the folder by simply typing the following. This will calculate the sha1 of every iso file in the folder specified. Smarter would be to write the output to a file for easier comparison etc. To do that simply add the following to any of the previous commands. Ultimately it looks like this.